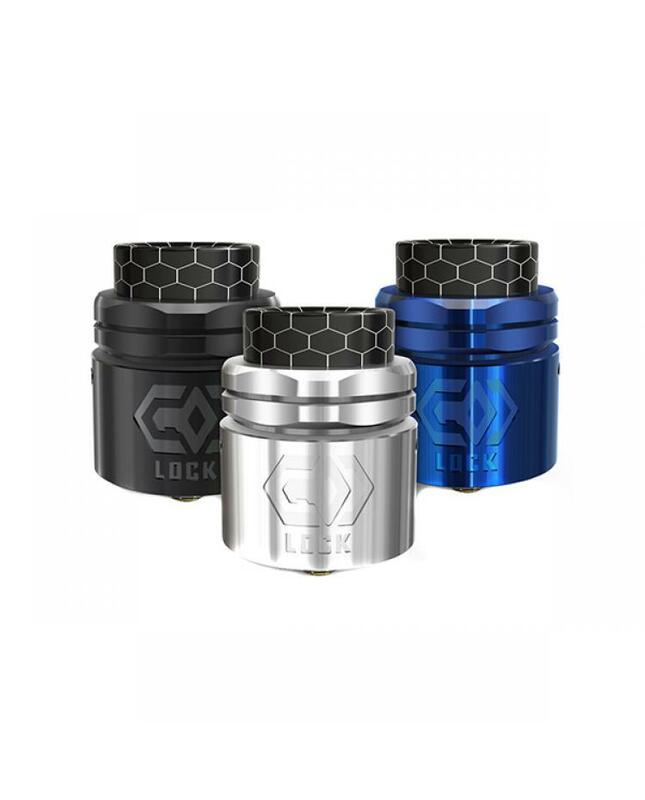 Newest Ehpro Lock 24MM RDA Tank, made of high-quality stainless steel and the resin material,3 colors available. 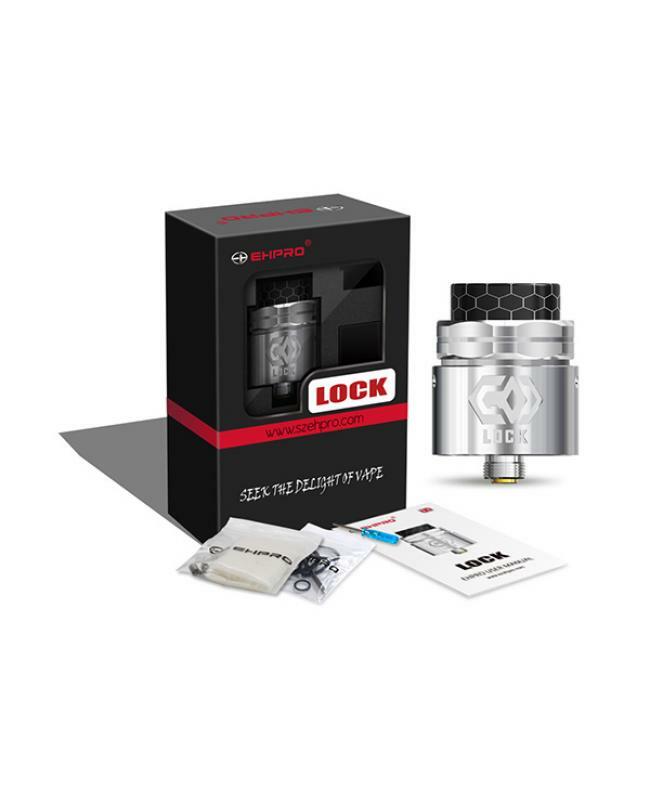 the lock RDA with innovative design building deck supports notch coils and normal coils. 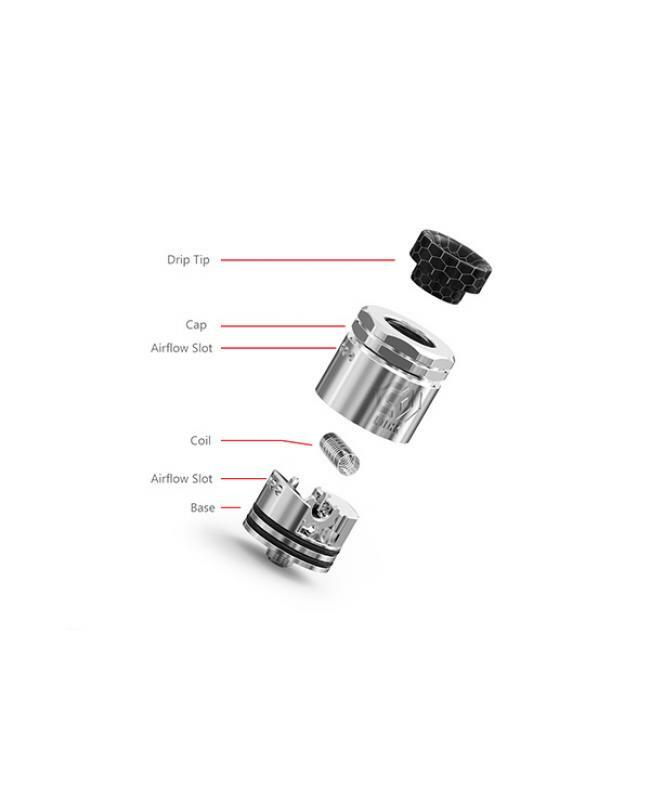 if vapers install the notch coils, only take the top cap off and push the coil into the deck, then heat the coil to make it heat evenly and install the cotton later. 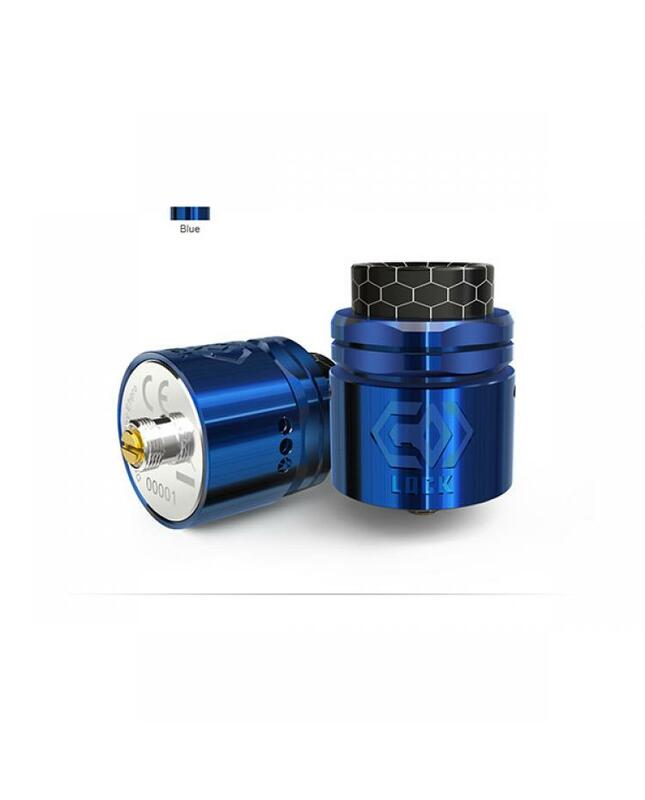 if install the normal coil, only install the coil into the deck and fasten it, heat the coil to make it heat evenly, then install the cotton, the ehpro company also provide the notch coils(sold separately), which recommend works between 30-50W. 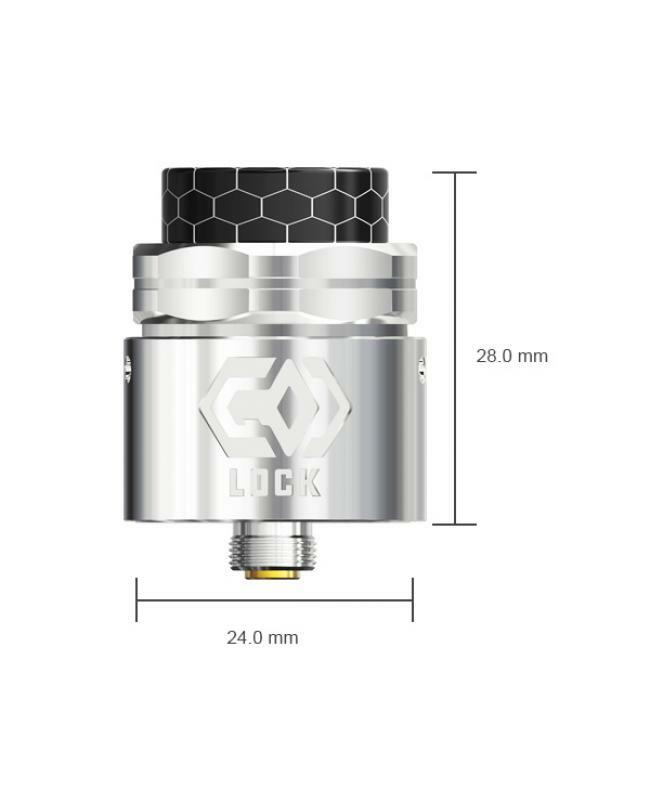 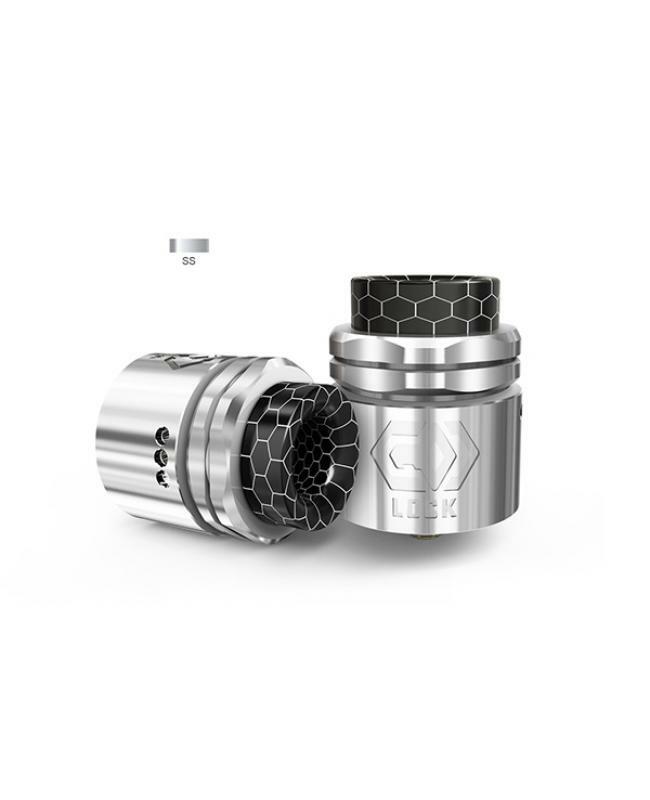 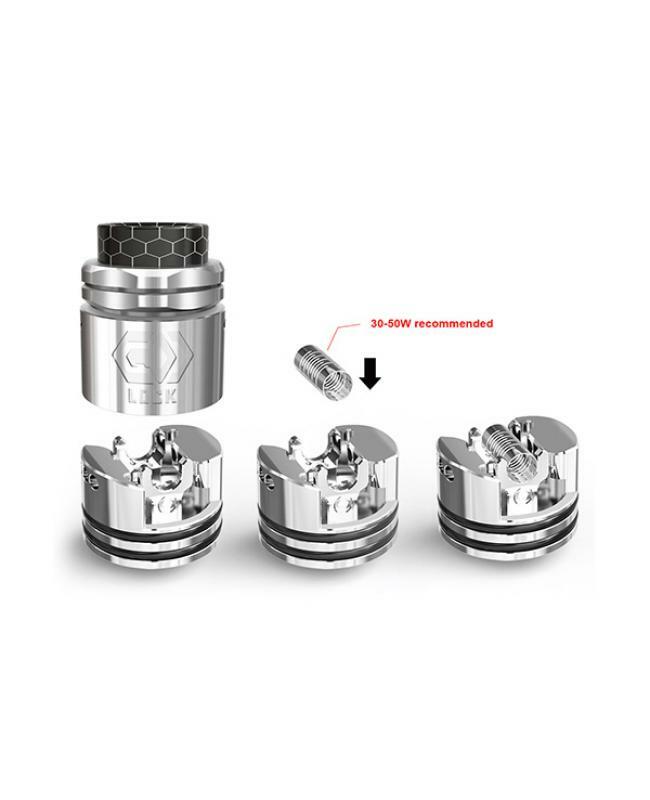 the nut style top cap, classic and industrial, easy to pull up yet, the squonk pin included, vapers can install it and works with squonk vape mods. the side-up direct airflow system, bring effortless vapor and superb flavor.